They are absolutely beautiful, aren’t they? To me they’re crying out to be book covers for a wonderful series of London novels. Wonderfully evocative photos: I particularly enjoy the shafts of muted light in the one of St. Bartholomew’s. I wonder. 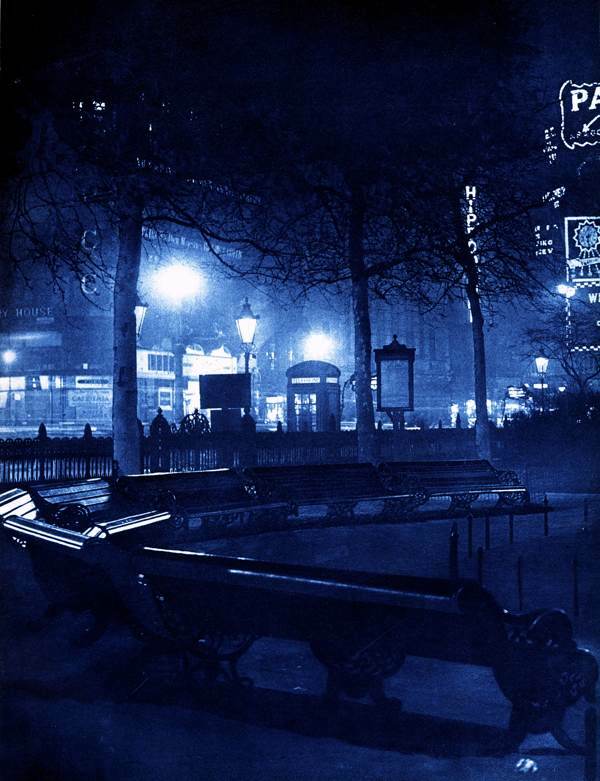 though, if London is now ever as deserted at night as it appears in these images? Excellent post and pictures. ‘Street Corner’ looks like an Edward Hopper. one of the best series so far! Beautiful pictures of a byegone age where light came from tungsten lights. Impossible to achieve in todays sodium glare. Those are wonderful,I love the old London it had so much character.As a country person the new London looks nightmarish to me! These are wonderful. They really capture that ghostly quiet and mysterious quality of late night streets. Thanks for such a wonderful share! These magnificent photo’s filled with atmosphere and mystery take on a profound beauty that fills me with longing to wander the sights, especially at night, my favourite time too, I do not do well in mornings, sunny days, so I can appreciate these photo’s deeply. I endorse what Jane said, they do really deserve to be part of a library of london bound books of this particular historic area. And the contribution of Sprite was sublime. I adore reading all in the Spittlefield series, thank you. They may not be realistic colours but that lends them a painterly quality that could be called art. I remember when the yellow sodium lights were introduced (1950s) and as a young boy I found it very disconcerting that I could not make out the true colour of many familiar street items. After some years I didn’t notice any more and you forget what you have lost. Recently we have had our street lights replaced with modern energy efficient ones – they are nearer to the old traditional lighting and it has made our area a much more appealing place at night. Back to the old days! Very Dickensian. He was quite the night owl himself. 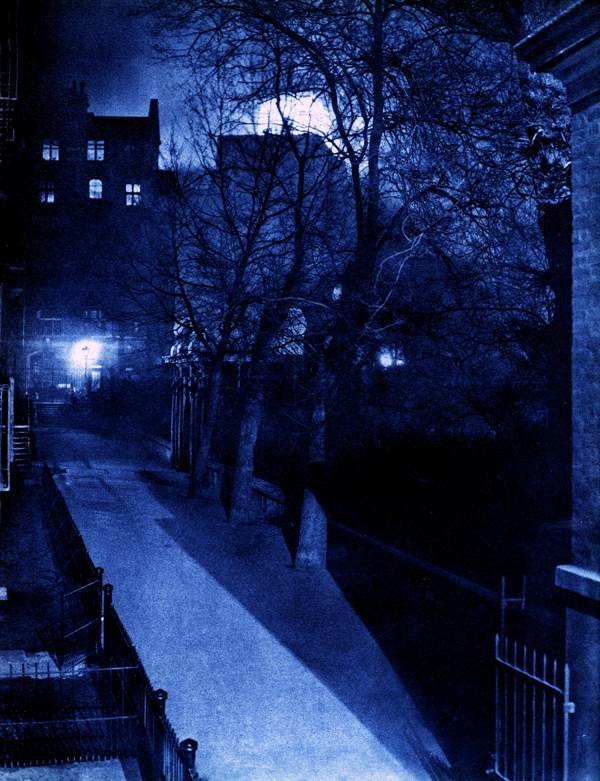 Just 73 years prior to the Burdakin images, Dickens published his essay “Night Walks.” I love London, it is my favorite city in the world. Thanks for this beautiful piece. I too am a nightbird so I connected with this – on two accounts. I grew up in Manhattan in NYC and treasured going out with my dad as a young child to go get ice cream or a late night snack. Iit seemed as if the street lights were double fold – shining above our heads yet also reflected in the chrome of the cars and the puddles in the street; and then there were the headlights of the passing cars. I still flash back on this from time to time when out out in the city at night. My second point of connection is the two years I loved in London in the early 70′s , going out every night with the love of my life to this pub and that, our schedule dictated by wherever our favorite band was playing. Thank you for waking up this old lady! A wonderful collection. So atmospheric. Thank you. Wonderful as always – London looks so beautiful. 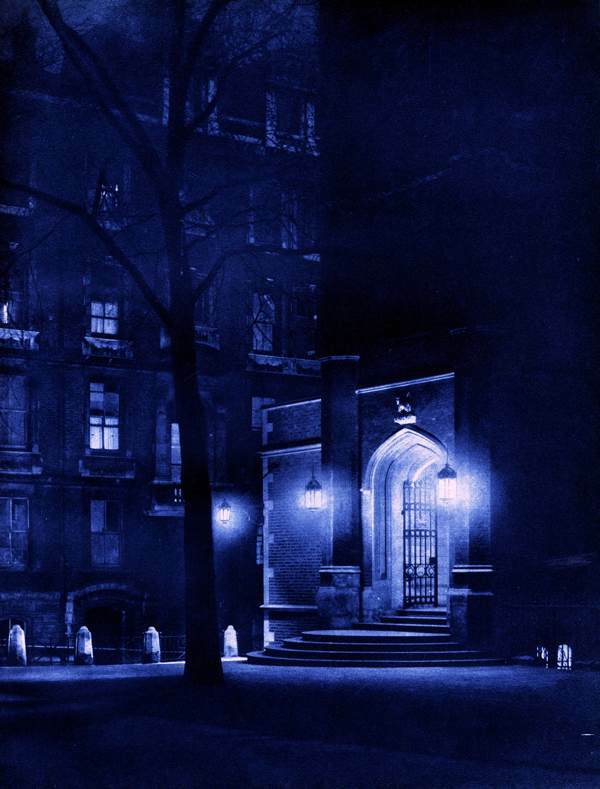 These images evoke a sense of peace and calm although they are of a bustling city like London. thanks again and again and again gentle author , you true hero of the poetic thought. 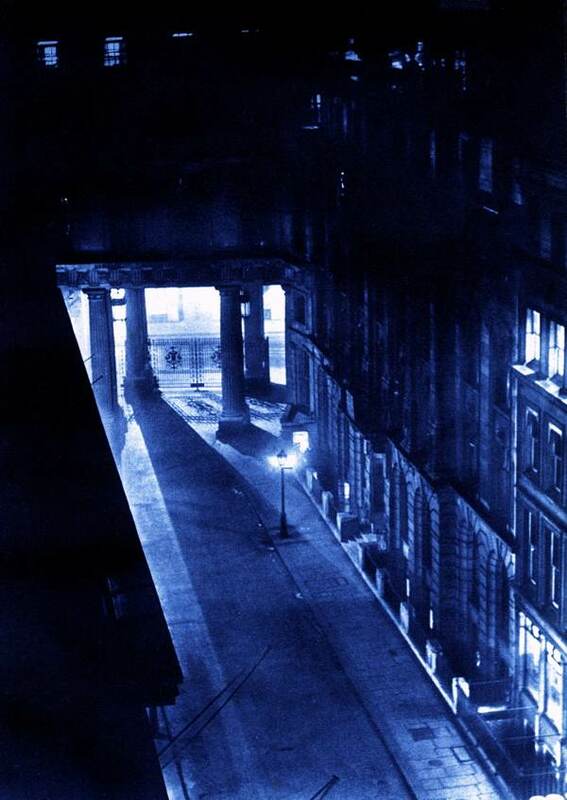 Fascinated by the image of Black Raven Alley as I worked a stone’s throw from Upper/Lower Thames St in the 80s and early 90s – I guess it was gone by then? 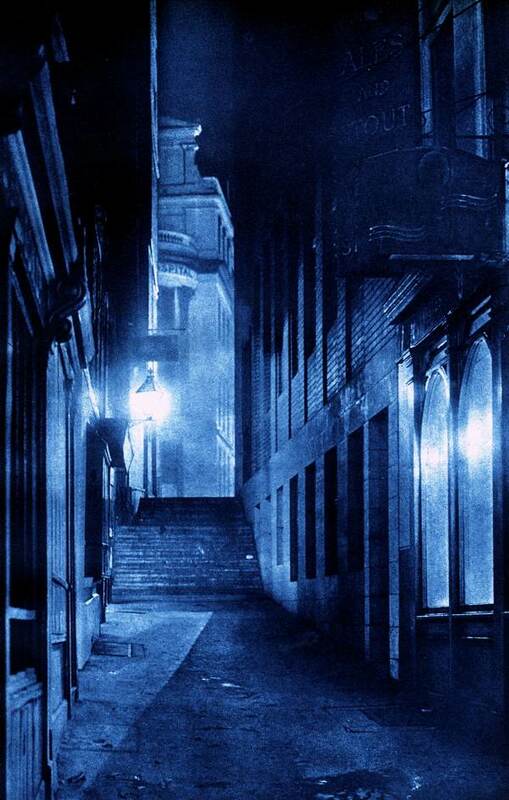 You can almost see villains from Sherlock Holmes lurking in these images. I like these pics. I have lived in London all my life. It isn’t a beautiful city like Venice or somewhere all pretty pretty. And thank God for that! It’s a mass of everything, it’s a jumble, an evolving place, always changing, and that is good. Let’s be careful we aren’t constantly wanting to preserve everything at any cost. It’s a fine line. Absolutely beautiful. Lovely shades of blue. 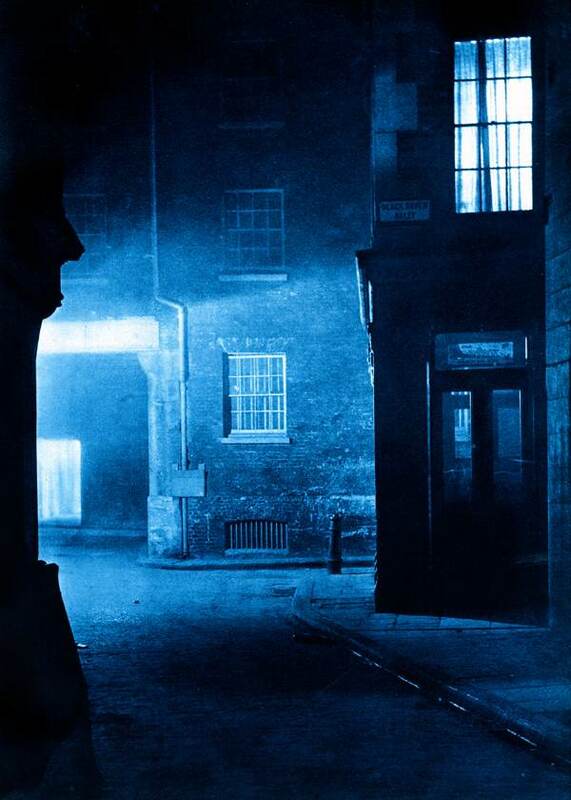 These sublime pictures look like photos of film or theatre sets, they seem so distant from any night-time photos of London that could be taken today. I love them! 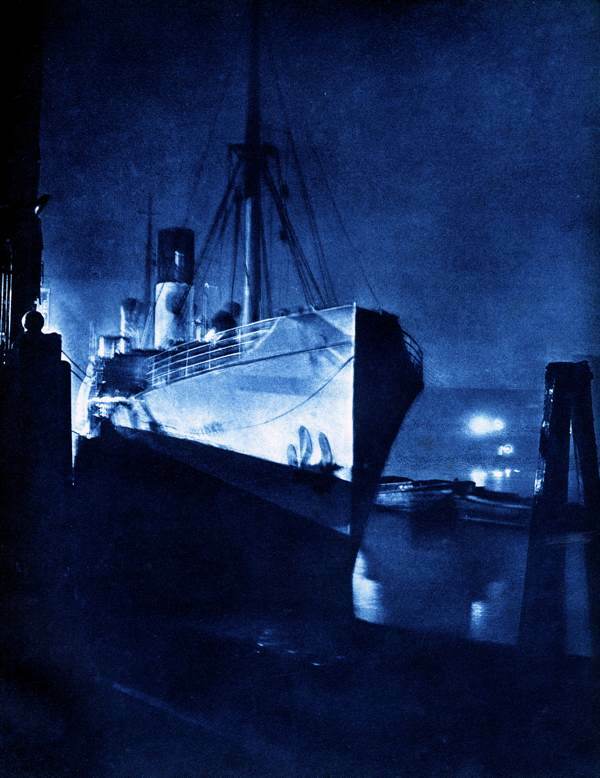 and saw the very company (photo taken from the river Thames in 1920) O’Brien Thomas. yellowy thickness would make your eyes ache. 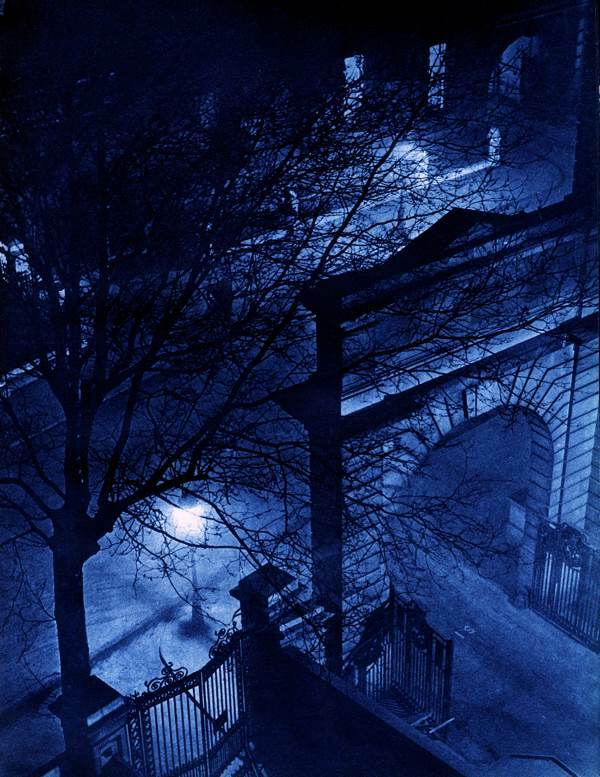 What wonderful, wonderful atmospheric photos. Finally I wrote a poem (Just had one printed in a poetry club magazine) I was inspired by your good selves to write it. Entitled The Tale od Old London, I would love you to read it sometime. 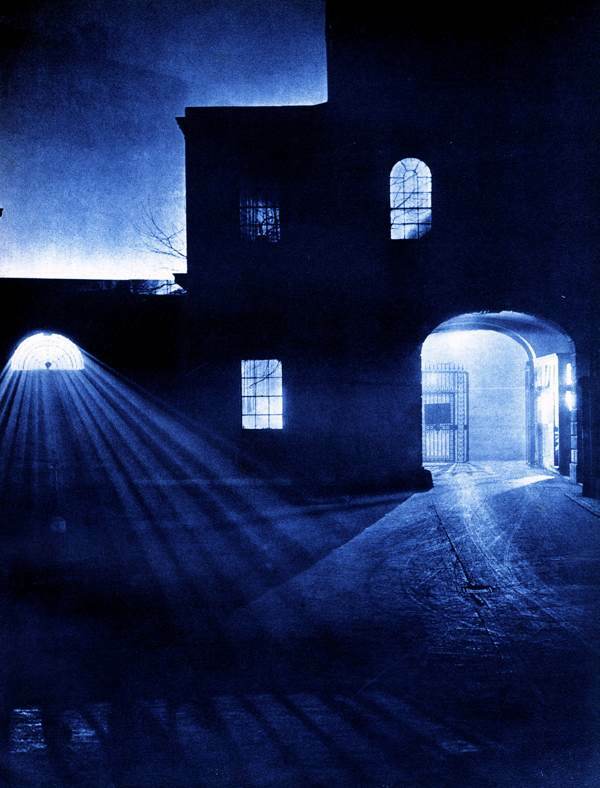 I saw these magnificent gravure prints at an exhibition many years ago somewhere in Farringdon, it may have been the London Metropolitan Archive or another library. They really were astonishingly beautiful. 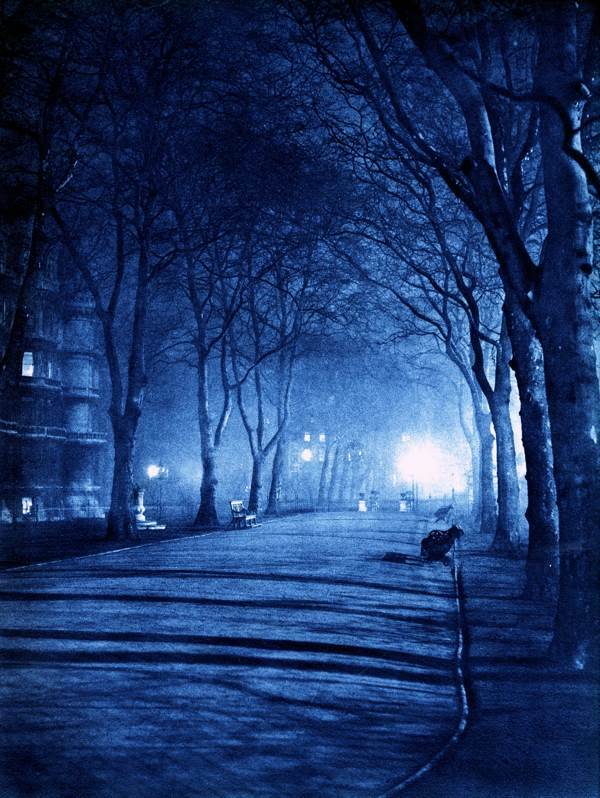 Fabulous blue photogravures that seemed to float in their own space as if they were portals into another time that you could walk into. 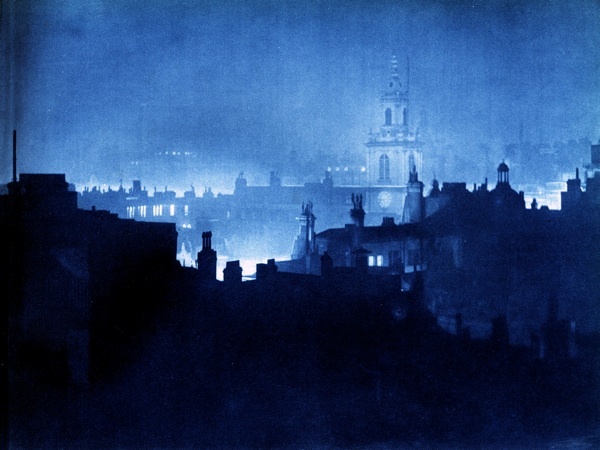 Probably the best London photographs I’ve ever seen, real works of art. 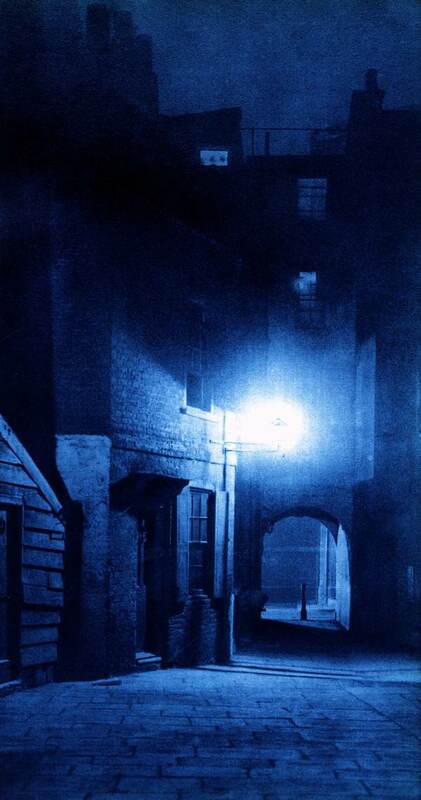 The closest thing to how I imagine the London of Dickens. 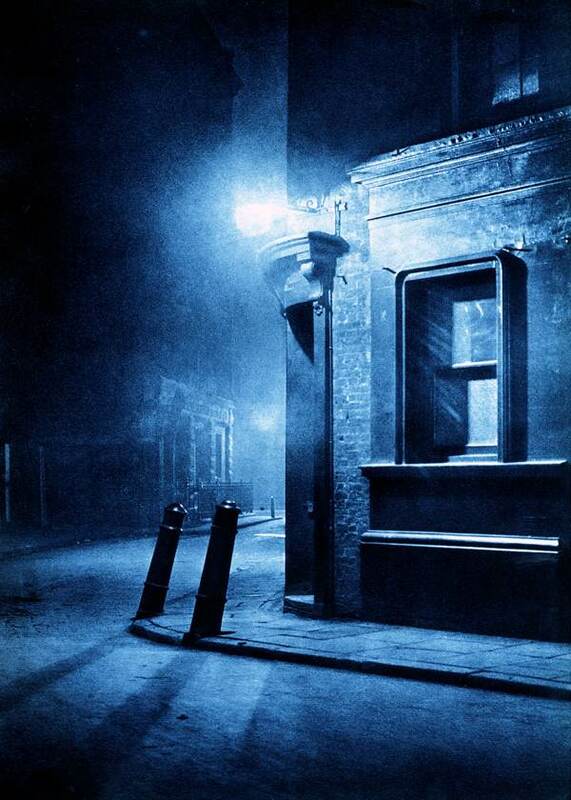 Bill Brandt’s London pictures come close but they don’t have the poetic light or soul of these. There is a copy of the very rare book in the London Met Archive too. 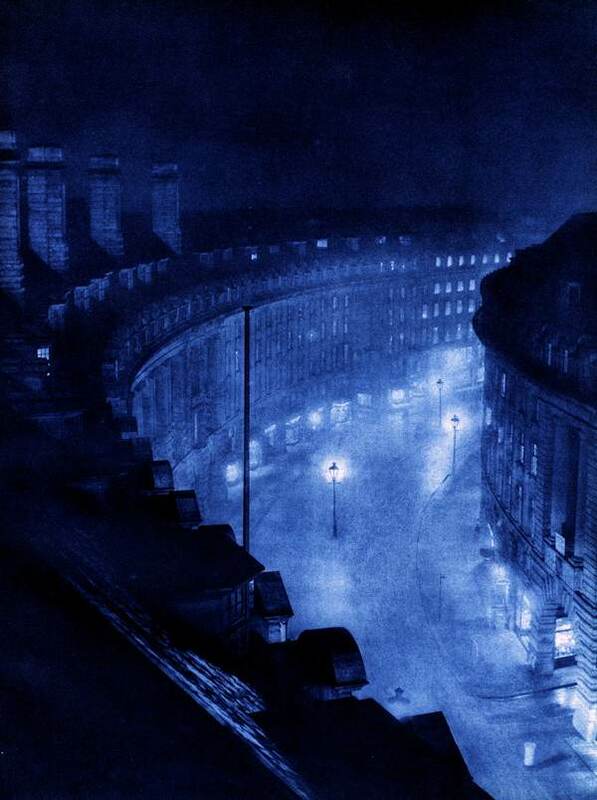 The Swan & Edgar building has a flat roof between the steep pitches fronting on Regent Street (as shown) and Piccadilly. I guess Harold Burdekin would have obtained access to the roof hatch, hopefully officially. Quite a mountain climb with his professional kit, resulting in the breathtaking view for him and for us. All of the set-up locations seem guessable with some accuracy, either from their explicit title or with a little research and map study. Except for “Street Corner”. Where on Earth (or the portion of the Earth that is London) is that one?